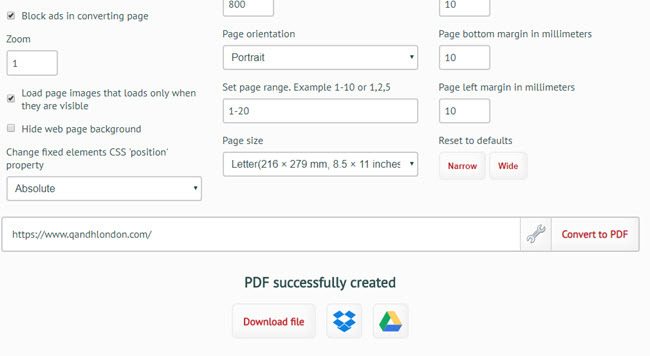 5 Free Web to PDF Converters in 2018, Which is the Best? Most of us know that opening the web requires an internet connection. Sometimes, you wish to view the content offline so that you can access it anywhere. However, do you have any idea on how you can do it? 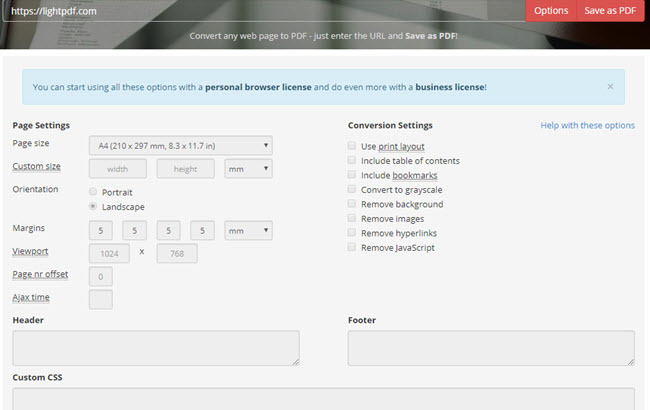 Simply convert the web to PDF. Here, we will list the tools people can find on the internet and we will help you rank the best web to PDF converter for you. The first program is Online PDF Converter. 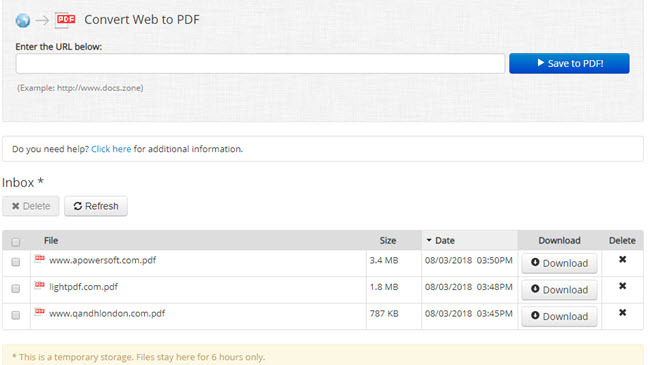 Different from other tools, this one converts web pages in document format to PDF, thus, before conversion, users need to save the web page as OXPS file. This online tool is compatible with Windows system, such as Windows 7, 8, 8.1, 10 and Vista. It can convert more than one web page to PDF according to users needs. Most images or content won’t get split. It doesn’t support pasting URL which means users have to save an XPS file first. Some of the images do not show in the converted files. It can only be used on Windows computer. It has limitations to the file size. The second web to PDF converter is Webpage to PDF. This online program allows you to convert web pages to PDF instantly. With that, you can print, share, store and manage the content of the web page easily. Moreover, it is compatible with different platforms such as Windows, Mac, Android and iOS. You just need to copy the URL of the page you want to convert and click the convert button to begin. Moreover, there is a function which enables you to convert HTML files on your local drive to PDF. Users can utilize it without installing any application. It can convert most of the pages. The content in the converted page may be messed up and sometimes is split which makes the layout strange. It has ads on the website. The third online web to PDF converter on our list is Web2PDF. 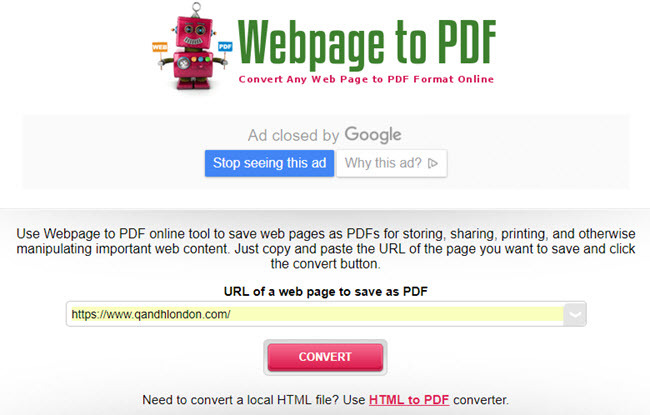 Just paste the URL of the website and you can get a converted PDF file in seconds. Aside from that, this tool enables you to configure the settings like zoom, page orientation, margin, page size and so on and so forth. And it supports Mac and Windows PC as well as Android and iOS devices. Users can navigate the site easily and can optimize the output effect before conversion. It supports sharing of the files to Dropbox and Google Drive. The display of the converted page looks better than Webpage to PDF, but it is still not present in the way that the website shows. 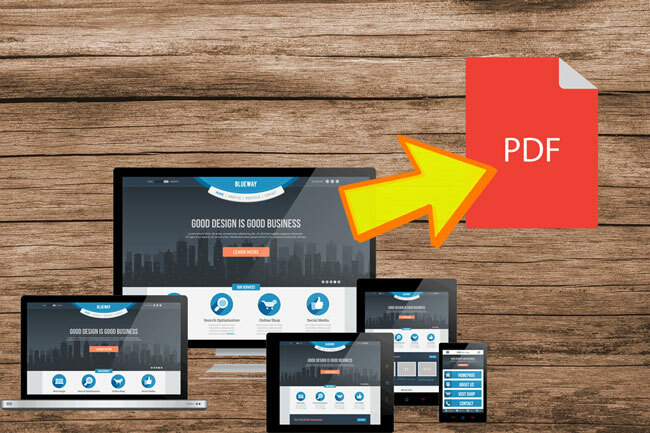 PDFmyURL is another web to PDF converter which can turns your web pages into PDF files with just one click. It has options for users to customize the page size, orientation, margins and so on. Furthermore, it offers personal and professional license for users who need premium service. It will jump to the window asking you to save the document after it finishes conversion. It can display most of the content as it is on the original website. For free users, you will get watermark on your converted PDF and only paid accounts can enjoy more features. docs.zone is last web to PDF converter we review this time. Although its name doesn’t imply it can convert web page to PDF, but it can do many file conversions, such as PDF to Word, PDF to images, PDF to Excel, etc. Users can use it on different operating systems and it works well with any common browsers. It will keep all converted files for 6 hours, so you can download anytime during the 6 hours as you like. The layout of the document is the tidiest and clearest among all these tools in this post. If you don’t pay for its account, you can only get 2 pages of your converted files. To sum it up, we highly recommend docs.zone as the first choice because of its high output quality in the first place. However, if you don’t want to pay for the service but want to enjoy unlimited usage of a web to PDF converter, then you can use Web2PDF. If you have any other questions or demands related to PDF conversion, you can leave a comment below and tell us. Thanks Wang, your review is very detailed and helpful.